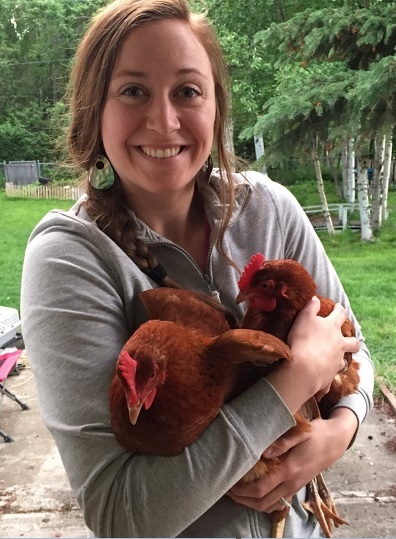 I’m ECSTATIC to state that after months of building a coop, learning about poultry, talking to other people (sometimes strangers) about their backyard flocks – I HAVE AN EGG! Two of my hens are four months old. I don’t know which one it came from, but I expected to wait longer before this exciting day! The first egg was light brown. 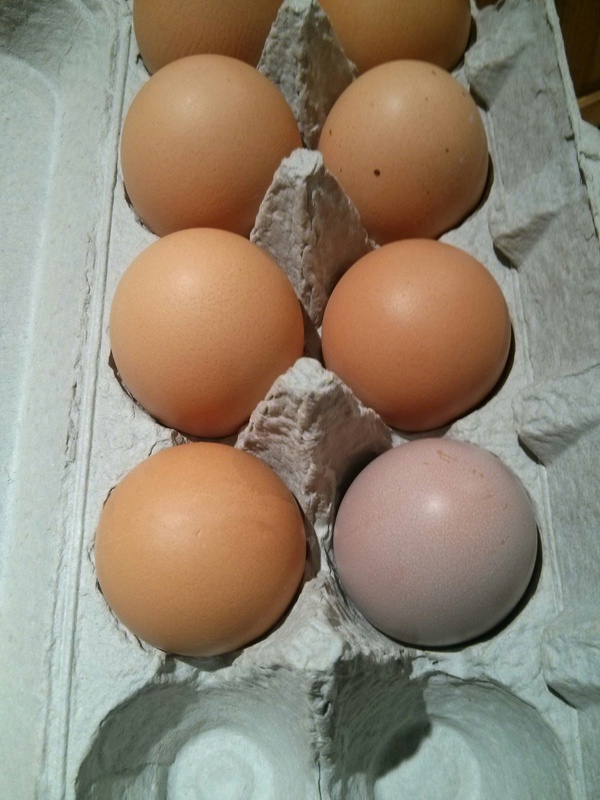 It’ll be interesting to see if both older hens (Owl and Blackie) lay the same color of eggs. It will also be interesting to try to figure out which of the feathered ladies is my early layer. 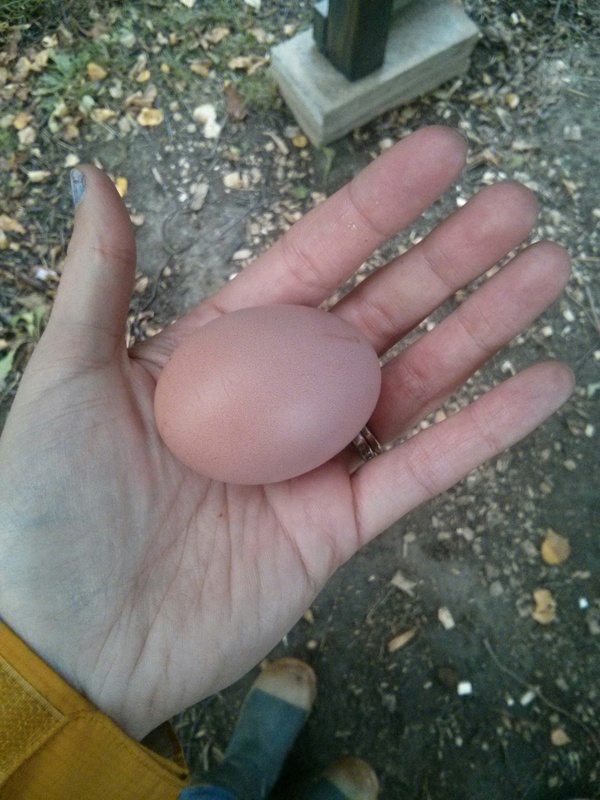 How big was the first chicken egg? I was expecting the size of the first egg laid to be a lot smaller, but nope, the first chicken egg was pretty much normal size. I put the first backyard “home grown” egg in a carton with my store bought eggs for side-by-side size comparison to commercial eggs. My first chicken egg is the lighter one on the bottom right. Respect, chickens. I have nothing but respect right now.